As most investors know, negative gearing is generally used to offset tax liabilities (investors claim losses as a tax deduction where income generated through rent is less than the costs of maintenance and interest paid on a home loan). In 2012-13, the average loss on a negatively geared investment property was around $9,000. Australia is one of a few countries where investors can use an investment loss to offset taxes owed on personal income such as wages. 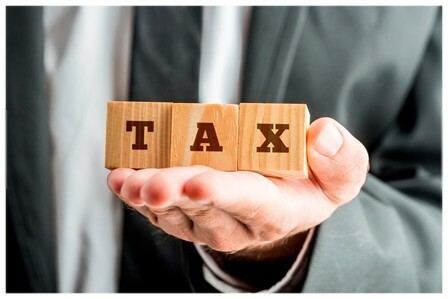 Other countries either limit the percentage of deductions (or reject it altogether) or quarantine the losses so they can only be applied to income on the investment. While negative gearing is an incentive for investors, the cost to the Commonwealth’s coffers is estimated at $5 billion per year, as 1.3 million taxpayers claim negative gearing losses. The Reserve Bank indicated “there is a case for reviewing negative gearing” when it made its submission to the Senate inquiry into home ownership last year. The Australian Labor Party is proposing to cut NEGATIVE GEARING AND CAPITAL GAINS TAX CONCESSIONS REFORM, while the Property Council of Australia (PCA) has cautioned that changes could negatively impact the housing market, as investors are responsible for one-third of all new housing supply. Since 1999, some property investors have received a 50 per cent discount on CGT liabilities if they held on to their investment property for more than one year. It’s estimated this concession has cost the Government $24 billion in lost revenue in the past five years. Some economists argue the CGT concession makes life tougher for first homebuyers and benefits the wealthy (it is estimated that three-quarters of the benefit goes to the top 10 per cent of income earners). The 50 per cent concession is considered generous by many. PCA has indicates support for a reduction in the concession to 40 per cent – in line with the recommendation of the 2010 Henry Tax Review.As we enter an election cycle, negative gearing and CGT are likely to be hot topics of debate. Whatever the outcome, EBM recommends landlords consider their personal and financial circumstances when making decisions about current and future investments.